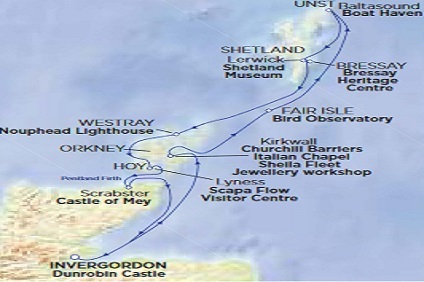 Hebridean Island Cruises has been setting the benchmark for luxury cruising since 1989. 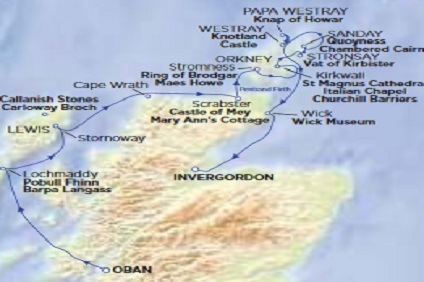 Featuring some of the finest Privately Escorted Tours, our small, five star luxury cruise ship – Hebridean Princess – affords our guests the highest standards of luxury cruise ship accommodation, together with a level of service from an almost forgotten era. 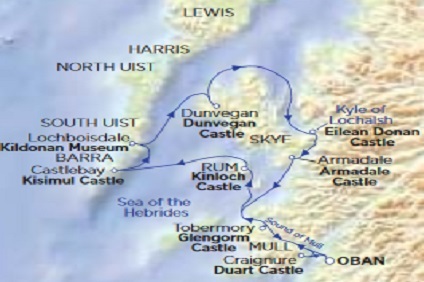 Each all-inclusive cruise is carefully planned by our own highly experienced researchers, whose brief is to capture the cultural essence and historical significance of each port of call. 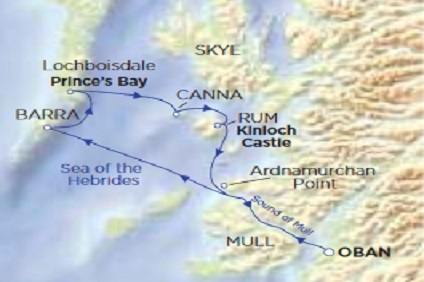 Hebridean Princess, the small cruise ship which re-introduced the ‘Golden Age of Cruising’ nineteen years ago, will show you the dramatic coast of Scotland and the Western Isles and Norway from the best possible vantage point. 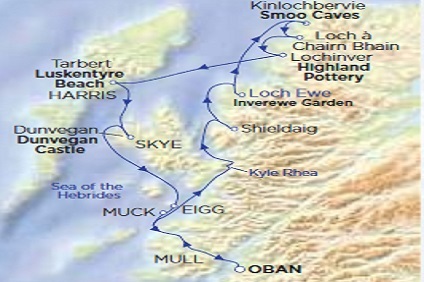 Outstanding service, fine cuisine, unusually spacious cabins and some of the most elegant public rooms afloat, the Hebridean Experience offers you the most relaxing luxury holiday you could wish for. An all-inclusive tariff, the very best in personal service, and some of the finest Privately Escorted Tours all tailored to be as individual as you are. 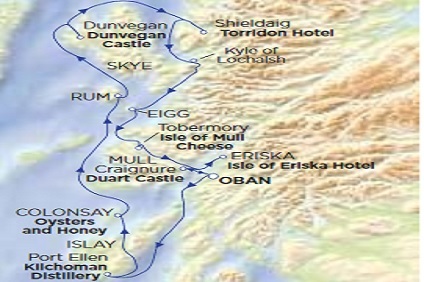 7 Night Cruise sailing from Oban roundtrip aboard Hebridean Princess. 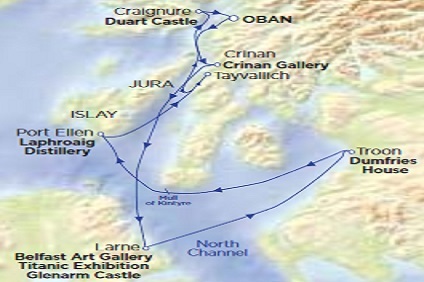 9 Night Cruise sailing from Oban to Invergordon aboard Hebridean Princess. 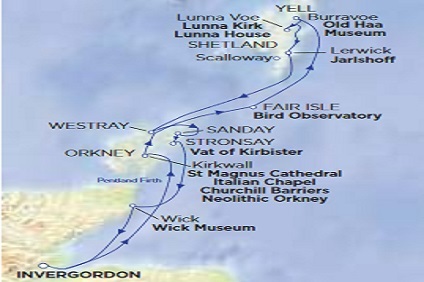 9 Night Cruise sailing from Invergordon roundtrip aboard Hebridean Princess. 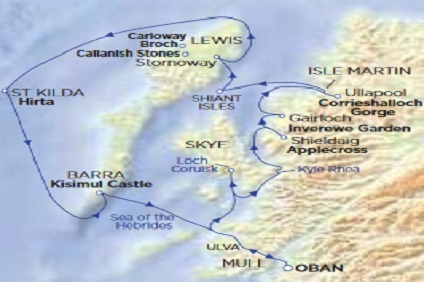 8 Night Cruise sailing from Invergordon to Oban aboard Hebridean Princess. 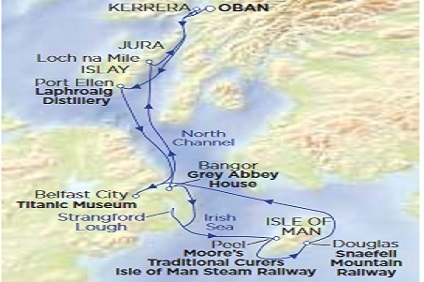 6 Night Cruise sailing from Oban roundtrip aboard Hebridean Princess. 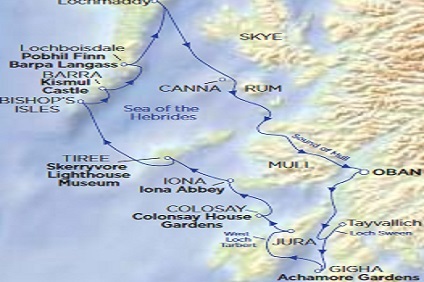 4 Night Cruise sailing from Oban roundtrip aboard Hebridean Princess. Dining is fundamental to the Hebridean experience. A skilled team of chefs delight in creating imaginative menus, often paying homage to local cuisine, using the freshest ingredients available. It is often possible for our chefs to choose the best produce local markets have to offer, presented later the same day as a delicious speciality. 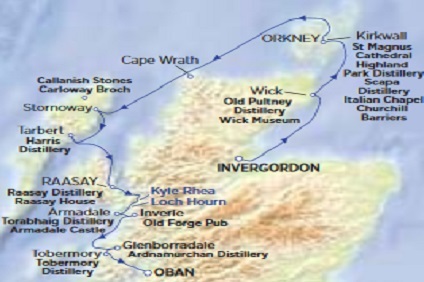 And with Hebridean's all-inclusive pricing, you can leave the expert selection of the perfect accompanying wines to us, if you wish. And never more than one sitting. Most dietary requirements and régimes can be catered for. 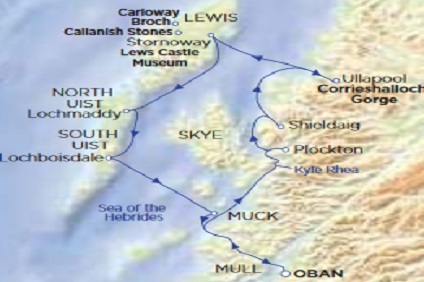 Just notify us in advance of your special request, and we will do our utmost to meet it - and occasional Hebridean picnics ashore are legendary! All gratuities are included – we actively discourage tipping.